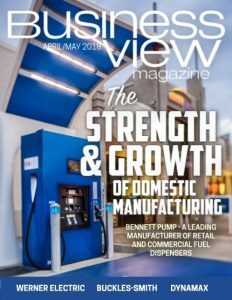 Business View Magazine interviews Ben Granley, President of Werner Electric, as part of our focus on Top Companies in the Electrical Distribution Industry. Werner Electric’s rich legacy of electrical distribution in Minnesota and Western Wisconsin began as a family business in downtown Minneapolis in 1920. Ups and downs over the years eventually led to the sale of the company, and sparked a positive new journey focused on customer and market growth. In 2008, the company moved its headquarters to Cottage Grove, MN, and has since expanded its Regional Distribution Center and office space by an additional 60,000 square feet. The distribution center now stocks thousands of products to provide fast order fulfillment to customers, complete with standard next-day delivery service and, in some cases, same day. Werner Electric excels at being a distributor of expertise and new solutions, intent on delivering more than just what’s in the box. 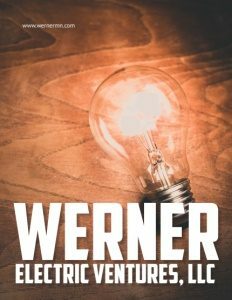 Leveraging the human element of business to differentiate, Werner is focused to bring customers new ideas and opportunities that improve their business. Their teams of highly trained and experienced automation, clean energy, lighting, and construction personnel work diligently with manufacturers to provide complete solutions and services from beginning to end. Seven branches currently serve Minnesota and Wisconsin from locations in Cottage Grove, La Crescent, Mankato, Owatonna, Rochester, and St. Cloud, MN and Eau Claire, WI. In an exciting nod to future success, Werner Electric recently broke ground on a 23,400-square-foot facility in the La Crosse (MN) International Business Park; relocating the La Crescent branch. Noting that the upgraded facility is a way to serve customers even better, Werner Electric President Ben Granley says, “With the continuous growth of our business, we see this as a good opportunity to invest in a larger footprint to support the local market.” The new building will be twice the size of the previous location and eventually increase employment by 30 percent. Construction is scheduled for completion this summer. Granley adds, “We’re in a good market and serve as the largest single private regional entity in our space. We’re seeing heavy growth in construction because many members of our team used to be in construction. Our value in technological expertise is high and sets us apart on industrial automation in the segments we serve. For example, we’re looking forward to working hand in hand with specialists in adaptive robotics. Compared to other distributors, we invest more heavily in tech solutions for customers. Our accounts managers work closely with customers. Not just selling products, selling solutions.” Long-term relationships have contributed much to Werner’s success; in particular, Rockwell Automation since 1935. Personalized customer service guarantees satisfaction, whether it’s good, old-fashioned, face-to-face assistance or online ordering and customized account management. As an Allen-Bradley authorized distributor, Werner’s highly skilled automation group stays up-to-date with this fast-paced industry by participating in regular training direct from the leader in automation technology. Werner’s automation specialists then provide customers with informational seminars and hands-on product training, as well as continuing education classes at each local branch. The company also holds code classes every year to keep customers up to speed on the ever-changing safety codes and regulations. At Werner Electric, safety is more than a buzz word. It’s at the heart of doing business – from creating and offering safety solutions to customers, to providing electrical products rooted in safety, to partnering with suppliers who focus on plant and employee safety. Werner will be holding their first Safety Summit later this year, where customers will be invited to learn about safety measures within their plants, and how Werner can help. They’ve also recently hired a services manager – one area of focus will be on safety services, including safety audits in customers’ plants to keep them up to speed on what might need to be updated or changed. Competition is strong, but Werner Electrics’ commitment to its customers stands them in good stead. Their mission is to deliver an exceptional customer experience while redefining the role of the typical distributor. The company thrives on the knowledge that their job is to help their customers’ business succeed, and customers deliver a superior solution because of their relationship with Werner Electric. Most notably, when customers achieve value from that business relationship; value-add services and solutions extending beyond the initial cost of the product that others can’t or won’t supply. Werner Electric is a Clean Energy job leader in Minnesota, with a variety of initiatives on the go. Granley, himself, plays an important role as a voice for clean energy in the state, including speaking in the capital with the Lt. Governor. Ongoing sustainable efforts include solar, electric vehicle charging stations, and exciting development in emerging technologies. According to Granley, “Solar has made a huge jump in Minnesota. Pairing solar with battery storage lowers the cost per kw. We focus on helping our contractor customers navigate the technology and installation challenges, and our Energy Solutions Director sits on industry associations to help other distributors.” A sizeable investment has been made in solar gardens in the community. In fact, as part of a solar garden project on Werner Electric’s roof, company employees are given first chance at subscribing to offset their utility costs. Check out this handpicked feature on The Schaefer Group – Innovation and invention. Did you know that Werner Electric provided materials & components used inside U.S. Bank Stadium? They are proud to be part of this state-of-the-art facility that hosted this year’s Super Bowl LII in Minneapolis! Middlesex County, Ontario – We appreciate your business!